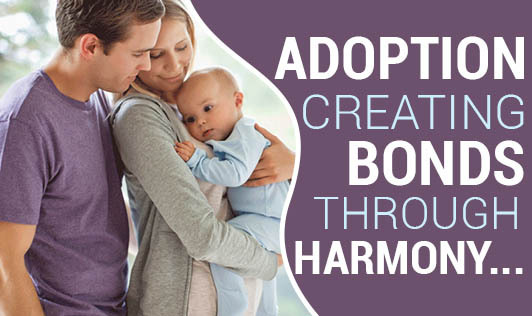 Be sure you are fully aware of the processes of adoption. Also consider the responsibilities of parenting someone else's child and what that might mean to you. Resolve any infertility issues, including grieving your loss while trying for a natural birth. Prepare to have some emotions resurface after adoption. Remember that timing is important when adding a new member to your family. It's usual for any adopted child, to have difficult, ambiguous feelings about being adopted. The first thing to consider is how you yourself view adoption. If you happen to go into adoption as a no-choice scenario for not being able to procreate, you may enter the relationship with some degree of bitterness about your own incapacity. It would be best to clear some of these issues and concerns before adopting. You can start by seeing it as a blessing both for you and your adoptive child. If you already have older children, it would be best to prepare them before the adopted baby comes home, although technically children who have never experienced a subsequent pregnancy may not have much trouble considering the new baby their own brother or sister. Of course, you will still have to deal with sibling rivalry just like naturally-born siblings. Finally, when the adoptive baby grows up enough, be sure to be open about his adoption, while reassuring him that you are very happy to have him. Nearly all adopted children go through a period of feeling abandoned by their biological parents, and experts have observed that this is ushered by easier when they are conscious of their adopted state from a young age. Whatever the case, if you continue to love and show absolute acceptance, it will bear fruit, and you will enjoy your adopted child growing confident knowing full well that he is loved unconditionally by his family. Adoption is indeed a rough situation to go through as a child, but as parents, you can easily be thankful for the joy that this process brings you. As you get vocal about the delight and joy you feel in the presence of your adopted child, it will rub off, and very soon you will find him returning your affection. Nothing will beat the relationship that you find yourself forming with the child who truly did not come from your tummy but came right from your heart! Seeking out counseling from someone well-versed in adoption related issues can be a great first step towards starting a beautiful journey with your child on the right foot.